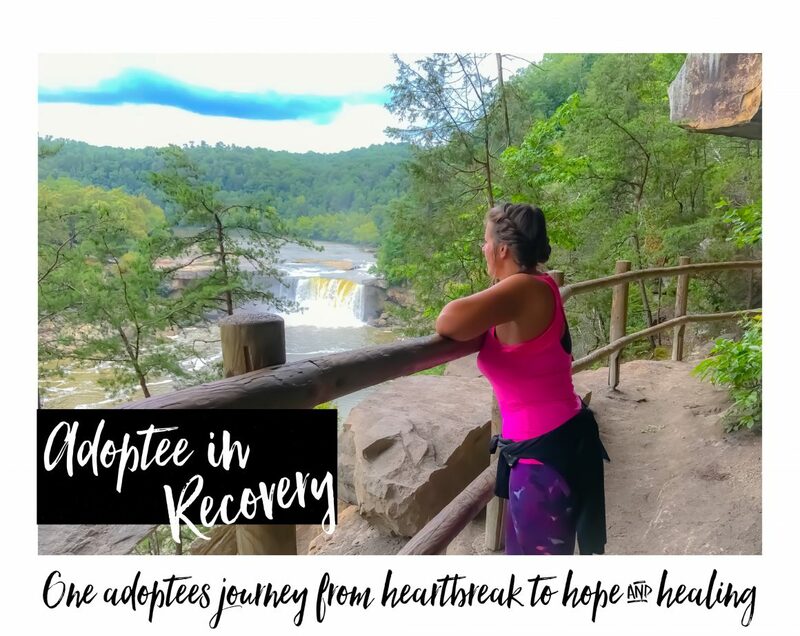 Haley Radke is an adult adoptee experiencing a healthy reunion relationship with her biological father as well as secondary rejection from her biological mother. She desires to connect with fellow adoptees and share their stories. Haley believes that having deep and meaningful conversations with adoptees will help to spread the truth about the adoption experience. I was born in 1983 and relinquished immediately. I was placed with my adoptive parents ten days after birth and grew up as an only child. My adoptive parents were elementary school teachers, and struggled with infertility. They adopted me at a later age in life and I became their sole focus. Everyone did their best, but my adoption wasn’t talked about frequently and I often fantasized about my birth mother coming back for me. I struggled with many of the classic adoptee issues: rejection, abandonment, fear of intimacy, trust issues, struggling to understand my identity, becoming a chameleon as a way of being accepted, low self-esteem, compliance and people pleasing, depression, suicidal thoughts. Growing up, I never related these to being adopted, I just assumed I was broken and thought many times, “no wonder she didn’t want me”. My desire to know where I came from was overwhelming all through my teen years, and once I turned 18 I applied for my non-identifying information. Not long after, the Alberta government opened up adoption records, allowing me to at last have the adoption documents and paperwork that revealed my given name at birth as Ashley Amber. I finally came to know who my mother and father were. I found my birthmother when I was 22; we had a brief reunion that lasted about four months. She cut off contact with me. Our reunion brought up many painful memories for her and I’ve always thought it became overwhelming for her and that’s why she decided to end our relationship. I’ve had the full range of emotions with regards to this secondary rejection. Denial, anger, sorrow, and now I’ve come to a place of compassion for her, yet I still have an intense reluctance to let the possibility of this relationship go. I desperately want a connection with her, even after the pain of losing her a second time. We have so many similarities, I would love to get to know her deeply. I’ve reached out multiple times, sending flowers, letters, cards…I don’t know if she will ever allow me into her life again. I hold out hope for that day of reconnection. I was 27 when on a whim I searched for my biological father on facebook. Reunion with my Dad has been one of the most rewarding and absolutely hardest things I’ve ever done. We have hit the highs and had some equally low points, including a time when I considered ending the relationship. There was quite a lot of pain to deal with and it was difficult. With the help of a skilled therapist (who had a great deal of experience with adoption), we worked hard to build a healthy relationship, which we still enjoy today. My Dad’s wife is exceptional, and she has been an absolute treasure for me to build a relationship with. We share a deep faith in Jesus and that has helped solidify our unique relationship. She’s become a close friend and also holds a place in my heart as another mother figure. In reunion with my Dad, I also gained three siblings. A brother and two sisters. My (half-)siblings have gone from a place of complete shock, in discovering my existence, to a place of including me as their full sister. It’s been a beautiful gift, and though I cherish the time with them, I certainly mourn the loss of their first years-when I didn’t know they existed. Reunion has been excruciating. Painful and healing and ugly and restorative. There’s no way to describe it to someone who hasn’t experienced it. Now knowing the fragility of even a biological bond, I treasure it all the more. Adoptee issues are real, and they stem from a deep wound of rejection. Having my birthmother reject me from the moment she found out she was pregnant impacted my spirit with a deep wound. I believed I was unwanted, and therefore unworthy of love or acceptance. All of this deep-rooted self-hatred could not be made up for with love, attention, money, opportunities…any of the promises that the adoption machine has made. I have been suicidal twice in my life, once when I was 12 and again when I was 19. I literally believed I was unlovable, and not worthy of living. If you believe those things about yourself, they are lies. Lies that have taken hold in a deep place, and that are extremely hard to break. I have had four or five different counselors, therapists and psychologists over the last dozen years of my life. However, I only discovered my deep woundedness (from adoption) in the last few years. There are many different healing tools offered to me, here are my most helpful suggestions for you. Reading – You’re already doing this! Adoptee memoirs, books, and blogs alike have so much wisdom available to you. Read what others’ have gone through, are going through, and what they’ve found helpful. You’ll always be able to pick up tips and advice from these sources. Writing – Journalling has never been a good fit for me, but I have found much relief in writing letters to those in my adoption triad with my feelings of rejection (to my birthparents), or lack of understanding (to my adoptive parents) and admitting self-hatred (to myself). Write letters where you pour out your heart, and every deep feeling that you could never ever say out loud, all the ugliness and darkness that you’ve kept inside. Write it, get it out of yourself… and then shred or burn or destroy those letters. These are not meant to share, so don’t hold back. Sharing – Sharing our stories is immensely powerful. Find another adoptee to share your story with. Someone who understands the things you’re going through. I have had many deep conversations with friends over the years about my adoptee issues and no one can understand you quite like a fellow adoptee. Listening – Hearing other adoptees on this journey has helped me to say, “me too!”. Nothing can be more validating than knowing you aren’t alone. Do share your own story, but also listen for others’ stories. You will find great healing in listening. Don’t know any adoptees? (Insert shameless plug here!) Listen to my podcast, Adoptees On. You will hear some amazing stories and find some insight, I promise. Get online, get onto facebook, on twitter, and find an adoptee community and listen. It is imperative! Do. The. Work. Make yourself a priority, and get into therapy. Find someone who understands adoptee issues (and if there’s no one in your area that does, you can be the first to educate them!) and get to work. You’ve got wounds and along with those come some bad habits. Nasty self-talk, self-sabotage, people-pleasing, perfectionism… you know what they are. Do the work to talk about these issues and deal with them. We may be wounded, but do not stay stuck! We’re adults now, and it’s time to do the hard things. Healing Prayer – (If you are a not a Christian, this may not be your cup of tea, just skip ahead!) I’ve done multiple sessions of healing prayer which has involved forgiving my biological parents for rejecting me, and having Jesus speak into particularly painful moments. I will never forget the vision I received during one of these sessions. I was asked, “where was Jesus when you were alone in the hospital, waiting to be adopted?”. I closed my eyes and began to weep. I saw myself as an infant in a cold, sterile bassinet. I’m tiny, helpless and I have no voice. But Jesus. Jesus is there, beside me. He’s standing beside me, with one hand on mine, gentle and loving. And He is calling the nurses, summoning them to me whenever He knows that I’m in need of their attention. At last, I knew that though I was unplanned, unwanted and subsequently rejected by my biological mother and father, I wasn’t alone. If you’d like more information about Healing Prayer, send me a message and I’d be pleased to direct you to where you can find this ministry. I’ll admit I am completely in love with podcasts and have been an avid listener for many years. Earlier this year I was inspired to create my own podcast, featuring fellow adoptees. Podcasts are such an amazing platform to share our stories, because it’s such an intimate medium. As you listen, you can feel included in the discussion. Our adoptee voices are most often left out of the adoption conversation. Listening to another adoptee share their story, including their innermost pains, ups and downs in their search, reunion and sometimes secondary rejection…it’s an amazing opportunity to feel both understood and connected. I encourage you to listen and it’s also a great non-threatening way to share with the people in your life who may not understand your perspective as an adoptee. As adoptees, we may be wounded, but we’re resilient. Stay strong, do the hard work, and find someone who understands your situation. You’re not alone, we’re in this together. Find Haley Radke on twitter @haleyradke or listen to the Adoptees On podcast www.adopteeson.com or connect on twitter @adopteeson or instagram @adopteeson.